Add a dash of chalkboard paint to a handful of mason jars and deck your center table, window sills, or mantel shelf in a myriad of ways with flowers, candles, or lights. Aside decoration, I learned how useful a mason jar could be for storing your food essentials while going through a tutorial on DecoArt. Nothing fancy was done on the jar, yet the outcome left me awestruck. 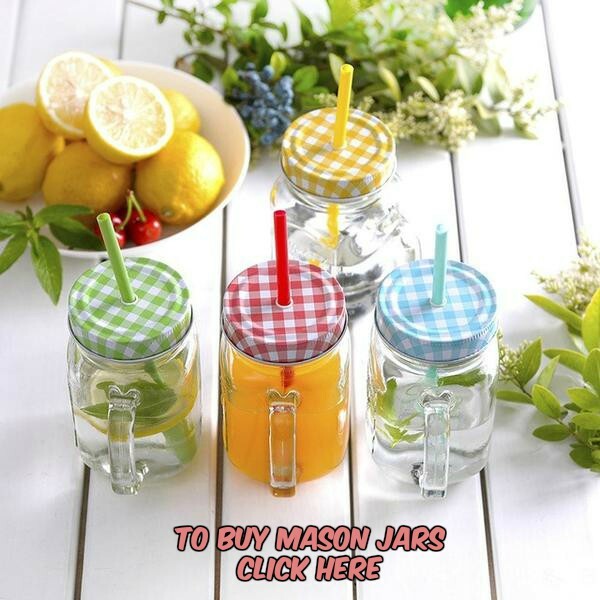 Rub the mason jar thoroughly with rubbing alcohol. 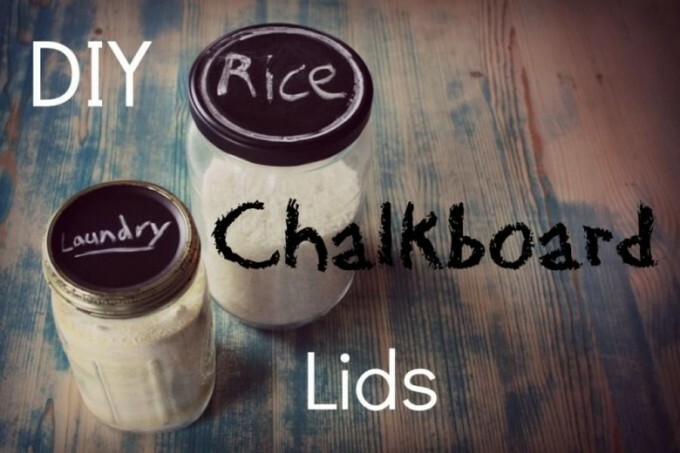 Apply the chalkboard paint over the entire space using the foam brush. Allow it to dry and then put another coat. Paint the border red with the paint brush. Let the jar undergo complete drying for 3 to 4 days. Remove off the tape and write a special message on the painted surface with chalk. As I had a Christmas theme in my mind while painting the jar, I thought adding a tinge of red would go well with the festive mood. But you can go only for the chalkboard paint to retain simplicity. Over the weekend I had a mason jar-painting session with my pals and all of us tried our hands on the bigger jars. The kids are going to fall for it. 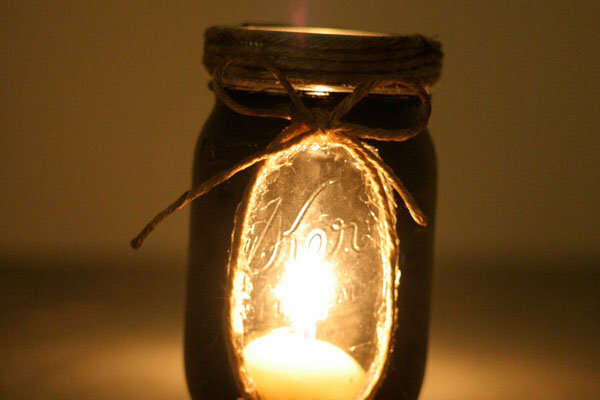 The warm flames flickering inside a mason jar incorporates a glimpse of beauty amid the dark. 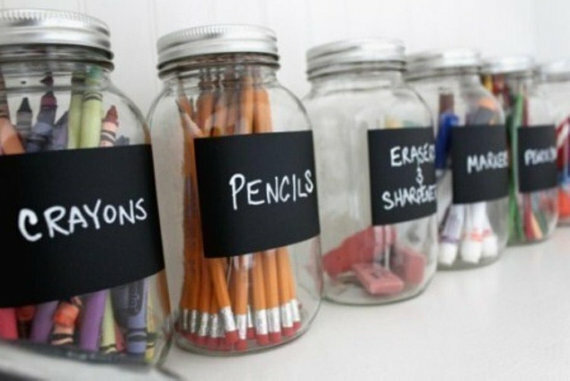 Here, an oblong writable space is made with a twine and some hot glue while the rest of jar is painted. 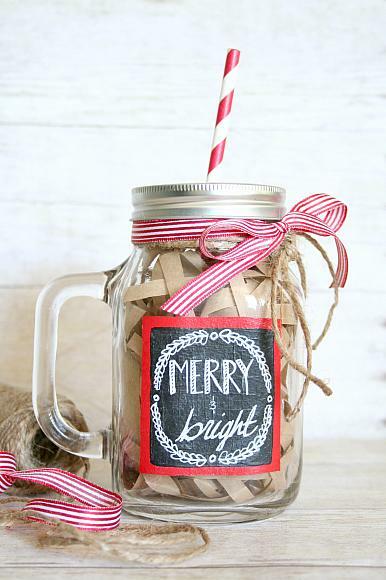 Bet you would not be trading the chalkboard-painted mason jar candle centerpiece for anything else. Douse the lids and rings or vice-versa instead of the jars without compromising their utility. How about some chalkboard mason jar mugs with lids on your dining table? 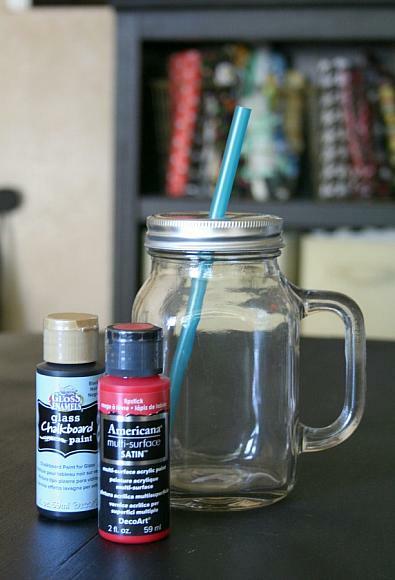 A chalkboard-painted mason jar gives you the pleasure to use it as a mug or cup for sipping your favorite drink. At any birthday celebration or wedding, a row of mason jars dipped in chalkboard paint adds a touch of artistic flair to the overall décor. Let’s see how you fair with your creative attempts.